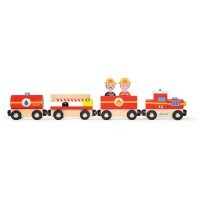 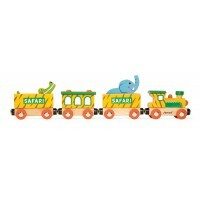 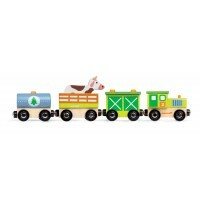 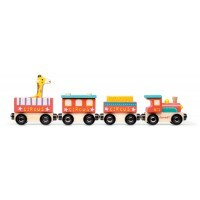 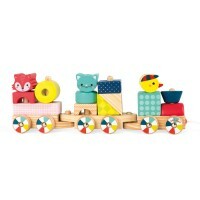 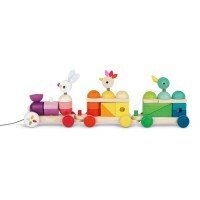 Jump on board the circus train and take a ride to the big top. 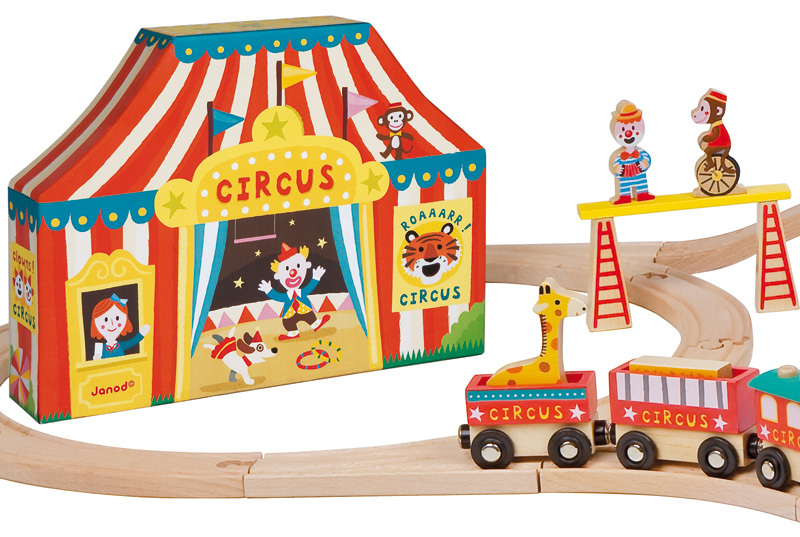 Watch the elephants perform balancing tricks and the monkey on the highwire! 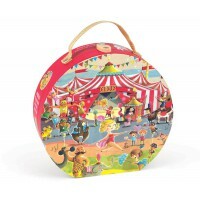 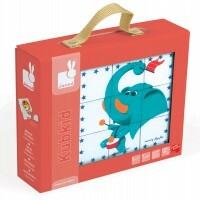 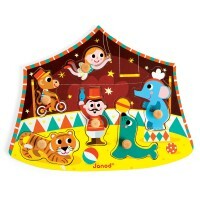 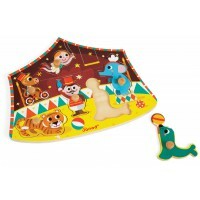 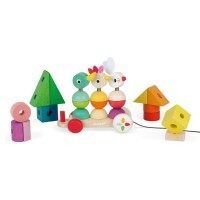 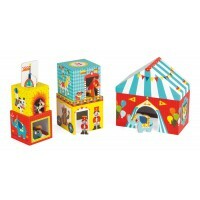 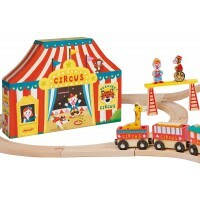 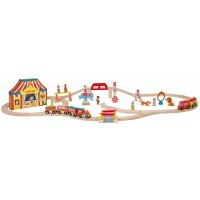 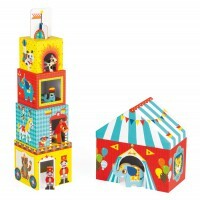 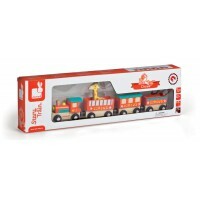 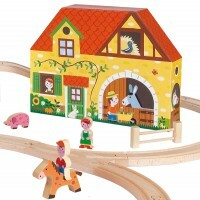 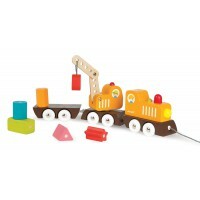 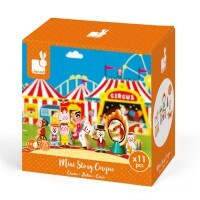 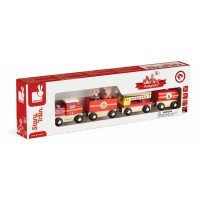 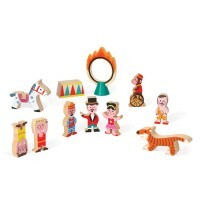 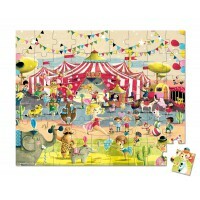 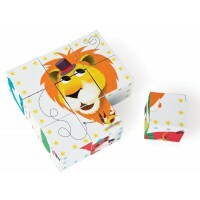 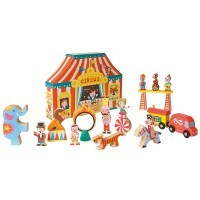 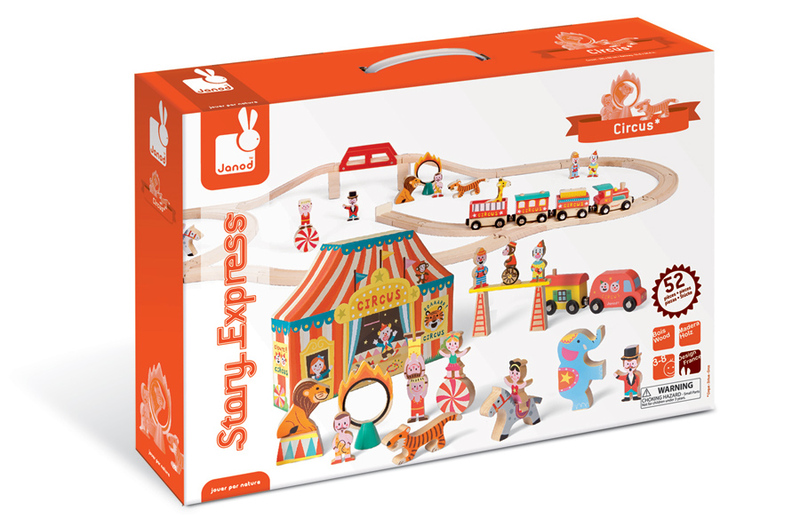 A heavy duty cardboard story box designed to be included in play comes complete with 19 wooden figures including a ringmaster, animals, a ring of fire and clowns with their car, to name a few. 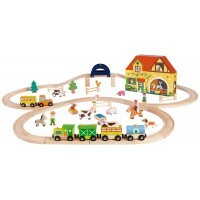 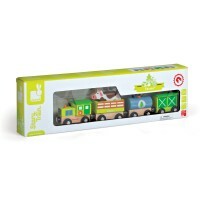 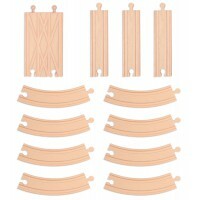 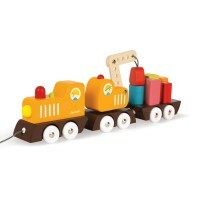 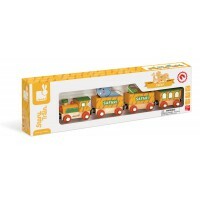 A train with three carriages plus a 26 piece railway circuit complete the set. 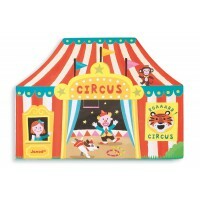 Little performers will love creating a show for an audience of their very own.